Millennials are officially becoming the dominant demographic in the workforce. This younger generation is looking for more from their company and they're not afraid to jump ship to find it. How can your company meet the demand of a millennial generation and retain top talent? 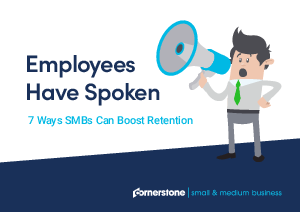 Download our brief and read about 7 practical ideas to help your company boost retention and drive growth.